Don't be fooled by the current low rating for this pub because it's now a Vintage Inn and much changed. Very welcoming staff, great beer selection and really good value food make it stand out as a really good pub, although I suspect some traditionalists won't agree because it's not run by some grumpy old landlord who only takes cash for food and drink! I, too have been here since it opened as a Vintage Inn. Bearing in mind what it is, this is a very good example of its type and is well laid out BUT it all depends on whether the management can keep the present standards up. Our visit a few weeks ago was very pleasant and the food was hot and good for its type. 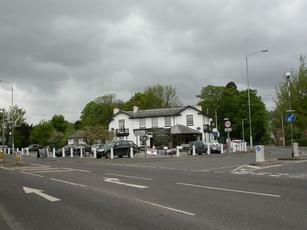 Another Vintage Inn has opened up at Biggin Hill and was The Fox and Hounds but now known as The Aperfield Inn. This only opened up after Christmas and you might be interested to read my comments so far. I don't want the Rose and Crown to echo my findings there! Pub has recently been re-opened and went here with family on a Sunday afternoon. Not cheap, but then you get what you pay for. The food was excellent and a choice of 3 real ales - tried one that I hadn't heard of before, and was very well kept. Think rating on this website reflect what it used to be like rather than what it's like now. 9/10. Went in for Sunday dinner booked at 3pm, finally seated at 325 to be told they had run out of roast dinners! Food generally good although one meal was cold and the side dish turned up when the main was finished. I would suggest that the menu is a little overpriced for the portions that are delivered., lamb shank at �11.95 was probably worth �9.95. The pub itself has changed completely from my last visit and although light and airy seems to have lost its charm in favour of modernisation. I have visited this pub 6/7times over the last few years but doubt I would go back to be perfectly honest. Wow I must have visited a different place to the review of 16th June.I was at The pub last weekend , the England game was sown outside on the pation with a bouncy castle and BBQ, the kids loved it and it really had a good family atmosphere. So I went again last night with a group of friends. The pub was very busy, as was the restaurant. There were families in the beer garden and the atmosphere was lovely. Even though it was busy the food was served and cooked exactly to how I would expect it and was presented well. The staff were very pleasant and accomadating.